Gallagher, Gams, Pryor, Tallan & Littrell, L.L.P. Our law firm was founded in 1996, and the collaborative relationships between our partners go back even further. For well more than 30 years, the lawyers of Gallagher, Gams, Pryor, Tallan & Littrell, L.L.P., have been protecting the interests — and exceeding the expectations — of insurers, corporations, privately held companies, licensed professionals and other clients. Since 1990 David W. Pryor has been a partner with the firm. 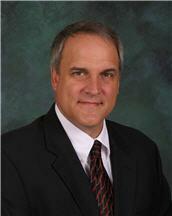 His practice includes litigation, insurance defense, real estate law, business, agricultural, and personal injury. He served as an Adjunct Professor at Capital University Law School from 1987 to 2007. He has also served as the Chairman of the Agricultural Law Committee for the American Bar, Ohio State Bar and Columbus Bar Associations. David has been a Co-Managing Partner for the firm in 1996 – 2000; 2002-2006; 2008 and 2012. To request a consultation, we encourage you to call tool free (866) 378-1624.